The combination of scrambled eggs with black truffles is a classic and for good reason! The earthy aroma and taste of the black truffle marries well with the rich consistency of scrambled eggs. And they can be served at any meal: breakfast, brunch or dinner! 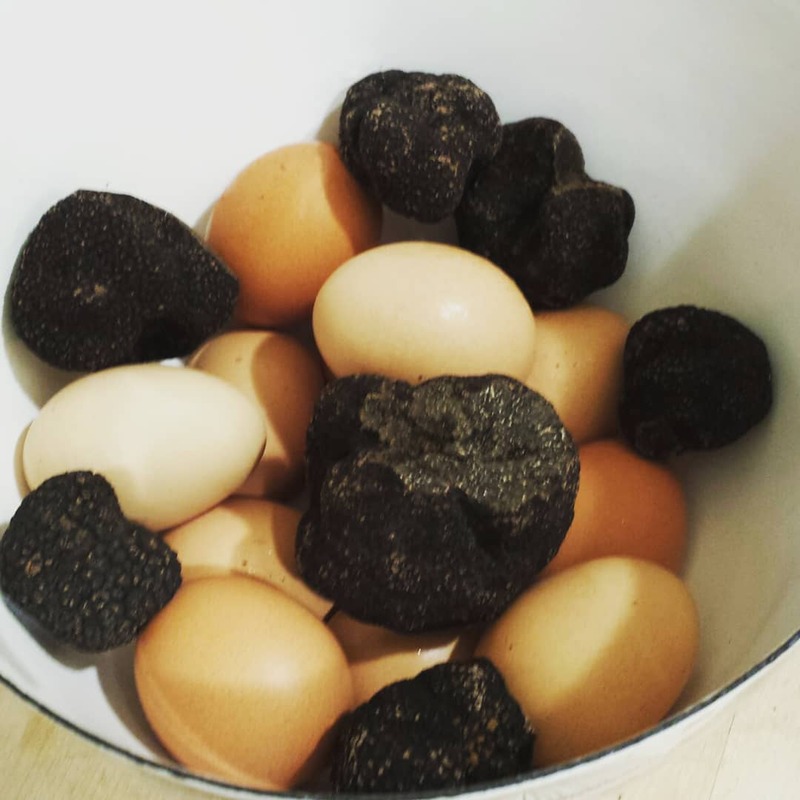 There are two things to know about this recipe for Scrambled Eggs with Black Truffles. The first is if you use fresh truffles, available from December – March, store them with the eggs for at least 8 hours and up to 24 hours. This will infuse the eggs with the black truffle aroma through their porous shell. You can substitute preserved truffles in a can or jar but the taste will not be as intense. The second thing is that you can serve the eggs plain, on toast or on fried bread as suggested below. I think the taste and texture of the fried bread adds an appealing dimension to the dish. A fabulous brunch dish which will wow your guests! Step 1 Note: At least eight hours, preferably 24 hours, before preparing the dish place the truffles and the whole eggs in an airtight container and refrigerate. This allows the truffles to infuse the eggs with their aroma. Step 3 then using a fork beat until well mixed and leave to infuse for up to an hour. Step 5 In a large sauté pan melt 2 ounces of the butter over medium heat until foaming. Add the bread slices and cook until browned. Turn and brown on the opposite side, add additional 1 ounce of butter if necessary. Place on plates in a warm oven until the eggs are cooked. Step 8 it is very important not to let them get dry. Step 9 When the consistency is still very moist divide the egg in equal portions on the fried bread and serve immediately.